This was John Travolta’s film debut, but his limited role is as a hooded cult follower. 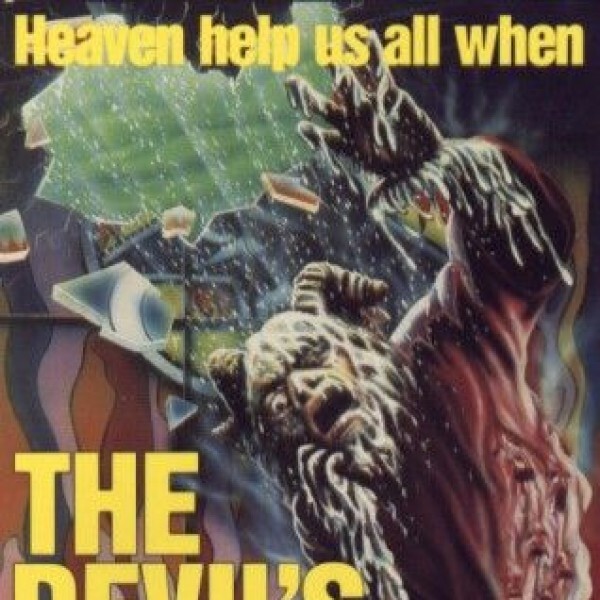 The Devil’s Rain features Corbis (Ernest Borgnine) hunting a Midwest family as he searches for “The Book,” an ancient tome stolen centuries ago containing the names of the devil cult’s disciples written in their own blood. As he turns the family one by one into dead-eyed soldiers for Satan, surviving son Tom Skerrit struggles to free them and keep the tome out of Corbis’s hands. The film is filled with arresting images of the black-eyed zombies wandering through a desert ghost town, gripping horror and other strong visual effects. The cast (including a stiff William Shatner and a tired Ida Lupino) is more solemn than spirited. Only Borgnine sinks his teeth into his role, preaching the word of the devil with gusto and theatrical flourish and transforming into a horned demon in a blood ceremony that builds to a dynamic climax.